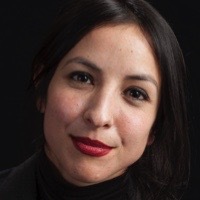 Liliana Segura was formerly an editor and contributor to The Nation, where she covered prisons, sentencing, and the broader criminal justice system. Her work has appeared on AlterNet, Colorlines, and other publications. She is also on the board of the Campaign to End the Death Penalty and Race Forward, a racial justice think tank formerly known as the Applied Research Center. Segura is senior editor at Pierre Omidyar’s new media project, The//Intercept, a publication of First Look Media.